M.B.B.S, | D.G.O. | FICMCH | Obstetric & Gynecology Surgeon. Designation: Senior Consultant - Obstetric & Gynecology Surgeon | Phoenix Hospital, Allahabad. 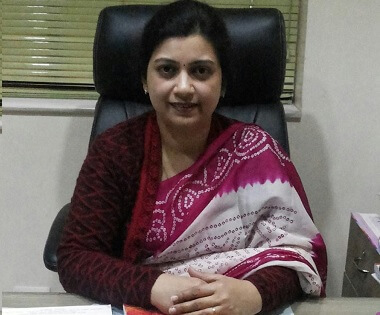 Dr. Amrita Agrahari is a Senior Consultant who deals with the Functions and Diseases specific to women and girls, especially those affecting the reproductive system. She specialises in mostly all major surgeries including Caesarian Section, Painless Normal Deliveries and Infertility. She has working in the Field of Gynaecology and Obstetrics for the last 16 years in Surabhi Hospital and Sardar Patel Hospital. Presently, she is working with Phoenix Hospital as a Obstetrics Surgeon and an Associate Director. - Did her Schooling From Ursuline Convent School, Purnia, Bihar. - Completed her Graduation - M.B.B.S from Darbhanga Medical College and Hospital, Bihar. - Completed her Post Graduation - DGO from Patna Medical College, Patna, Bihar. - Working in the Field of Gynaecology and Obstetrics for the last 16 years in Surabhi Hospital, Sardar Patel Hospital and presently working in the Phoenix Hospital as a Senior Consultant. - Fellow Guide of NARCHI (FICMCH). - FOGSI - Federation of Obs and Gynae Scoiety of India. - Singing and Listening Music.